Your resume will get your foot in HR’s door and give you a chance to land a job. The goal of your resume is to impress the hiring manager who is sifting through countless other resumes to find the perfect applicant for the job. 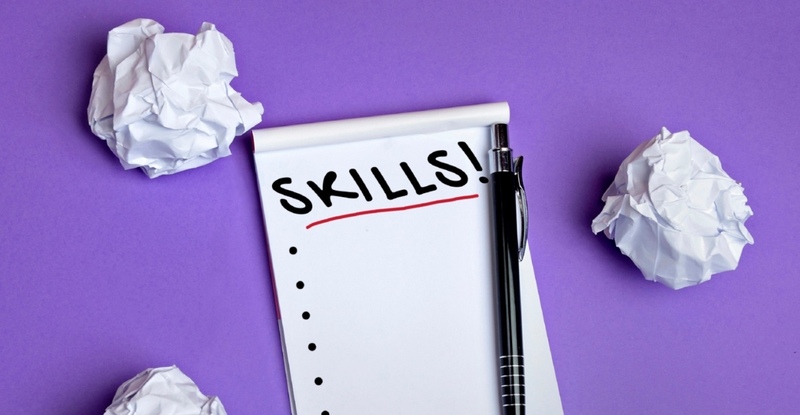 The skills section is one of the most important parts of your entire resume. Mastering the right way to write your skills section is a must in today’s competitive job market. Including extra keywords that may sound like an added bonus to you, may turn off the reader because they are completely irrelevant to that potential employer. If you’re facing difficulty getting your resume together, call Employment Solutions today in Columbus, OH at (614) 785-7015! Recruiters don’t want to read these cutesy skills in your resume – leave them out. You’ll need to fit in at your new workplace, and companies want to know that their new employee will become a part of the team. A major issue is that not enough attention is put on soft skills. If you say that you’re a strong leader, this doesn’t demonstrate exactly how or what you have done as a leader. I was responsible for a five-person team that boosted productivity 25% and reduced expenses by 10%. If you want to demonstrate that you have strong interpersonal skills, explain that you are able to reduce customer complaints by 25% at your last workplace. Giving real-life examples is a necessity to demonstrate your soft skills. It goes without saying that human resources or recruiters are low on time, but this doesn’t mean that you shouldn’t be precise with your wording. You want to tailor your resume to the specific job that you are applying for. A good example of this is a company that is looking for a PHP programmer. I helped develop the backend of a Codeigniter framework for a SaaS company. Always include the skills that you have, and try to elaborate them as much as possible without being too wordy in the process. Get to the point, and demonstrate how you applied these skills in your previous employment. One of the hardest things for job seekers is to eliminate skills from the resume. You don’t want to list skills that are not going to be valuable in the workplace. You want to list skills that are directly related to the current job position that you’re applying for. If you’re applying for an administrative job, you don’t want to mention how you have great technical support skills, or how you know CPR from your days as a lifeguard. Refine your resume skills section in such a way that it only includes information that is pertinent to the job you’re applying for at this very moment. Making your skills section strong should be followed by focusing on your cover letter, and refining other parts of your resume to match a current job that you are applying for. Having trouble preparing your resume to send out to potential employers? Contact an experienced employment agency in Columbus, OH. Get in touch with Employment Solutions TODAY at (614) 785-7015.